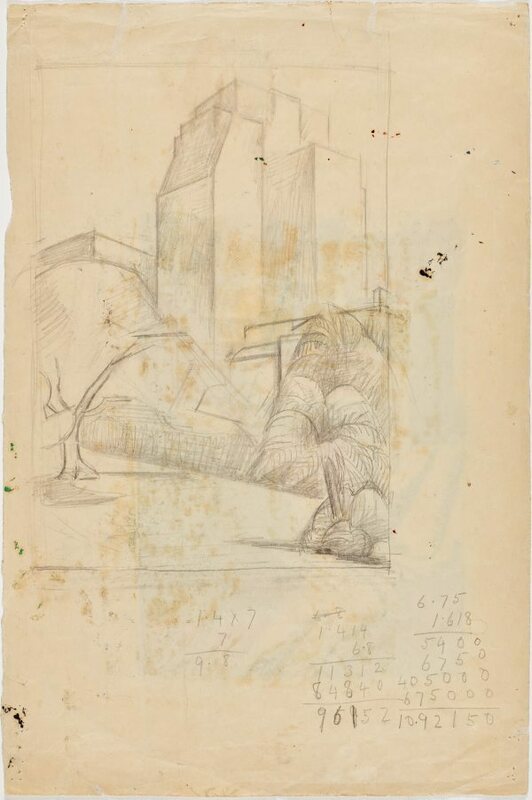 Dorrit Black was a key figure in the development of modernist aesthetics in Australia during the interwar decades. Born in Adelaide, she studied in Sydney in 1915 under Julian Ashton and Elioth Gruner and during the 1920s increasingly focused on 'modernising' her practice. In 1927 she travelled to Europe in order to acquire (in her own words) "a definite understanding of the aims and methods of the modern movement and in particular - the cubists". 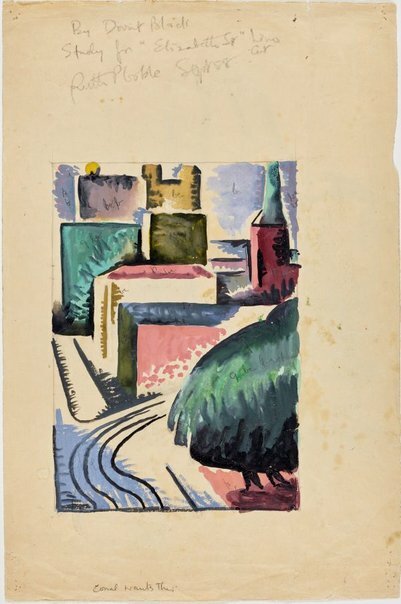 She initially studied linocut printmaking with Claude Flight at the Grosvenor School in London, and then moved to Paris where she enrolled in the Academy of the Salon cubist André Lhote. This drawing is a study for a colour linocut Elizabeth Street, Sydney 1939 in the Gallery collection. It reveals the artist’s working process, including colour notes and pencil underdrawing.